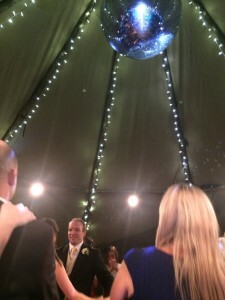 Some lovely wedding band gigs this weekend, we have been very fortunate! Whilst the sun didn’t have it’s hat on and the ground was a bit soggy from the rain, it didn’t dampen anyone’s spirits and all the Wedding guests, venues and Brides & Grooms celebrated their big day in style! Once again for a second weekend in a row Vibetown were sticking firmly within the borders of Yorkshire and performed in Harome in North Yorkshire and also in Heckmondwike – possibly one of the greatest names for a place on planet Earth, let alone Yorkshire! 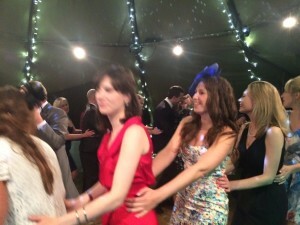 This venture was for a special Wedding & Function Band Gig in a beautiful Marquee. Vibetown arrived early to be set up and ready before the Wedding Party arrived for the Wedding Breakfast and speeches. After an awesome first dance, Vibetown went on to perform 2 smashing sets to an adoring audience. Everyone was up dancing from the first few tunes and the band received no end of compliments, which is always a good sign! 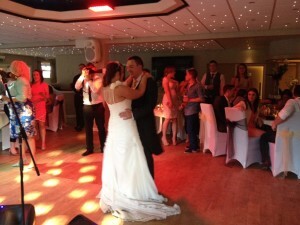 Next up was another Wedding & Function Band Hire gig at The Lakeside Restaurant in Heckmondwike. A new and rather interesting venue to play about 40mins for Leeds and a short distance from Wakefield. A lavish venue with beautiful surroundings in the Yorkshire countryside… You can’t go wrong with this place! Perfect for Live Wedding Bands too, so def worth keeping in mind if you want Vibetown to play at your Jewish Wedding or Corporate Event. Vibetown is available as a Wedding Band For Hire in York, Live Wedding Band Hire in Leeds & Yorkshire as well as specialising in Jewish Wedding Band Hire also.